I’m hoping that the title above isn’t your social media slogan! Truth be told, it really doesn’t matter if a million people follow you or like your page if not even one of them cares to visit your website or buy your products and services! Numbers Matter in the Social Circuit, but…. What’s the use of performing for a public without ears? You can spend an entire day creating killer Twitter and Facebook content, but what if none of your followers bother to like your comment or share/re-tweet it. That’s a total waste of time and energy. A low follower count with a few shares is worth more than a high follower count with zero shares. In fact, the low count can be a blessing in disguise- it offers an opportunity to interact better with fans and followers. Allegiance in the social media sphere works two ways. If you want more engagement on your social media account you need be more proactive. I bet the person sitting on the opposite sphere would also appreciate a re-tweet or +1. If a post is good, don’t hesitate to like or share and let the authors know about it. But be genuine! You do not have to like or comment on every post or re-tweet every share to remain in the spotlight. Only the ones that are interesting deserve a lift. 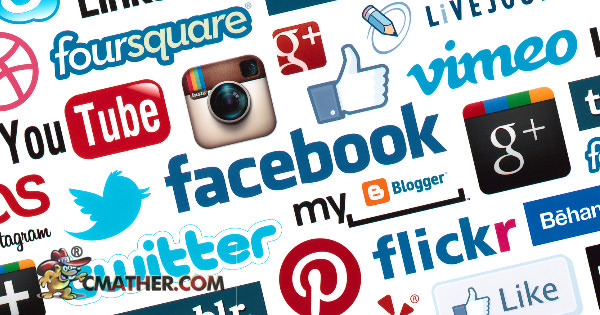 To spread your brand across the social media circuit you need to use multiple social channels. Facebook and Twitter are great for an initial start, but don’t spread yourself too thinly by restricting your presence to just these sites. With more than a dozen social media sites, how will you determine the channel that’s right for you? Your competitors could probably answer this for you. Check your competitor’s social media profile to know where they have built their online profile. But importantly, a better understanding of your business would help. For instance, if your products translate better in a visual platform, Pinterest is a great tool. Media related businesses tend to delve into Twitter and Facebook. LinkedIn is a useful platform if your business relies on networking. Humility is a great character trait, but not in the social media sphere. If you know something, don’t hesitate to let others know that you know! But remember, there’s a thin line between boasting and sharing. Unless you don’t want to be joining the growing number of attention addicts who’re clogging social media, do not hunt for a conversation. Questions are a great way to break the ice and start conversations. But asking questions for the sake of it may seem annoying. Your questions should add value and help in building a better relationship. Brand relationships are not just built on social media. Branding existed even before the Facebook era; you will have to look for alternate avenues. Blogs are a great idea to drive traffic to your website. You can create one of your own and share them regularly via social media. For reciprocity, read blogs written by business peers and comment on them. This is the best time for introspection. The time wasted in ruing about your abysmal follower count can be spent productively in making the necessary changes in strategy making. There are a lot of factors that affect customer loyalty- you can use this time to concentrate on these factors. Social media can be addictive. Use this time to figure out strategies that work on a smaller scale. Whether you’re a novice entrant, an expert or an inactive user, do not worry about the numbers. Good content and genuine engagement helps to grow followers organically. It is easy to fall into number trap and settle for buying fake followers. These may be useful for celebrities who are paid by brands for endorsements on Twitter and Facebook. But for those looking for a meaningful interaction, such fake fans mean nothing.